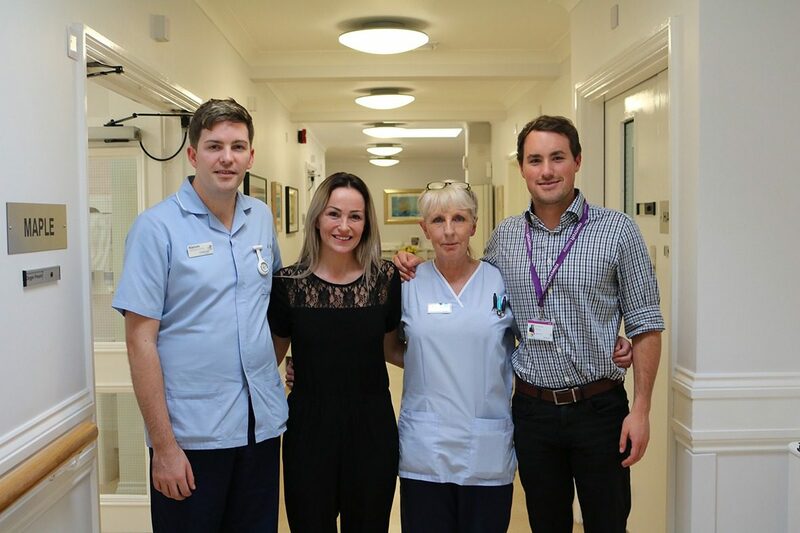 Torbay’s classical singing star Keedie Green made a surprise appearance at Rowcroft Hospice’s Inpatient Unit in Torquay on Thursday 7 February. The sought-after soprano sang a number of classical hits made famous by the Italian singer and songwriter Andrea Bocelli. The appearance was organised by the friends of a patient who had been planning a trip to see Bocelli in Italy, but became too unwell to make the journey. Keedie said she was delighted to have been able to make the appearance, particularly as her own Mum had been supported by Rowcroft Hospice in 2014. She explained: “Rowcroft was amazing with my Mum, they were there when we needed them the most. Rowcroft’s staff and volunteers are dedicated to ensuring the 2,000 patients supported by the hospice every year are able to make precious memories with the people they love, during some of the most challenging days of their lives. Inpatient Unit Manager, Sue Harvey said: “We were delighted to have been in a position to accommodate Keedie’s special performance on Thursday and thank her so much for taking the time to perform.